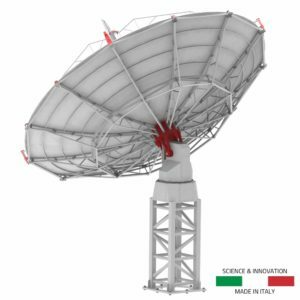 INTREPID 300S is the affordable S-band radio telescope we designed to receive radio signal from satellites, like the CubeSats, that operate in amateur and commercial bands. 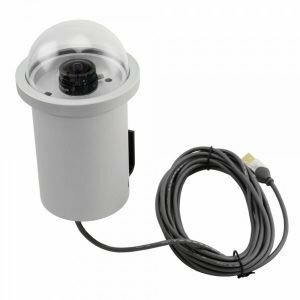 INTREPID 300S is the turn-key ground station composed by antenna, dual polarization LNA units, S-band receiver, full tracking weatherproof mount and satellite control software. 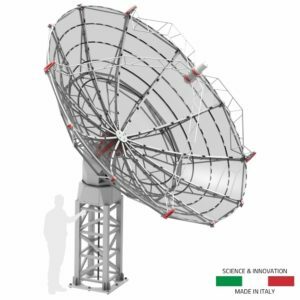 INTREPID 300S S-band radio telescope uses a 3,0 meter diameter mesh dish antenna with a very high surface precision. The WP-100 mount allows high precision pointing and tracking of satellites in the sky, remotely controlled with our special remote control software. The S-band receiver allows to capture 50 MHz frequency bandwidth and spectra, and the control software provides the commonly used modulation schemes. An affordable S-band radio telescope with 3,0 meter diameter mesh dish antenna for satellite communication. 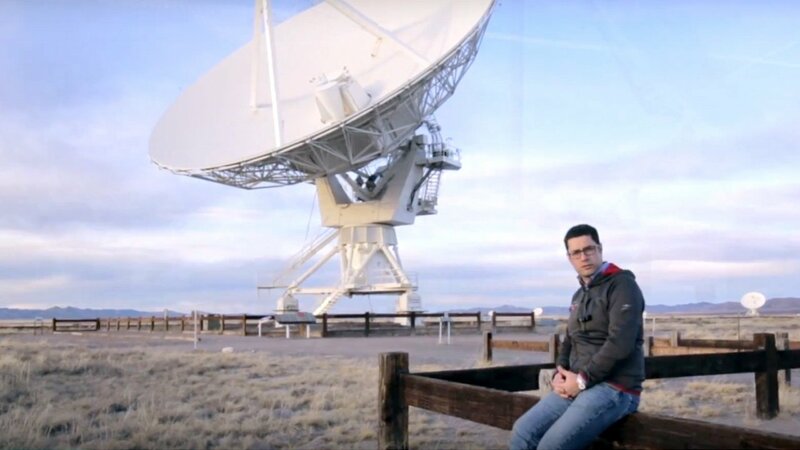 Much more than an amateur radio telescope. 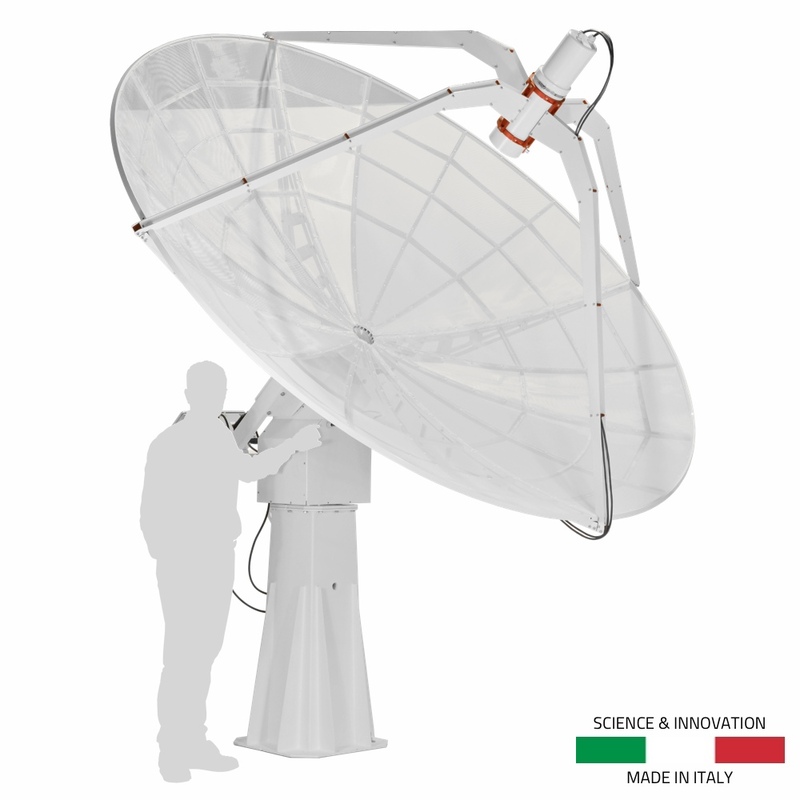 The INTREPID 300S radio telescope does not use an amateur radio antenna rotator, but the WP-100 waterproof computerized mount that we have specially designed and built to be more robust, precise and reliable. Equipped with automatic tracking and goto system controlled by the radio telescope software, it allows you to frame and track your target with great precision. 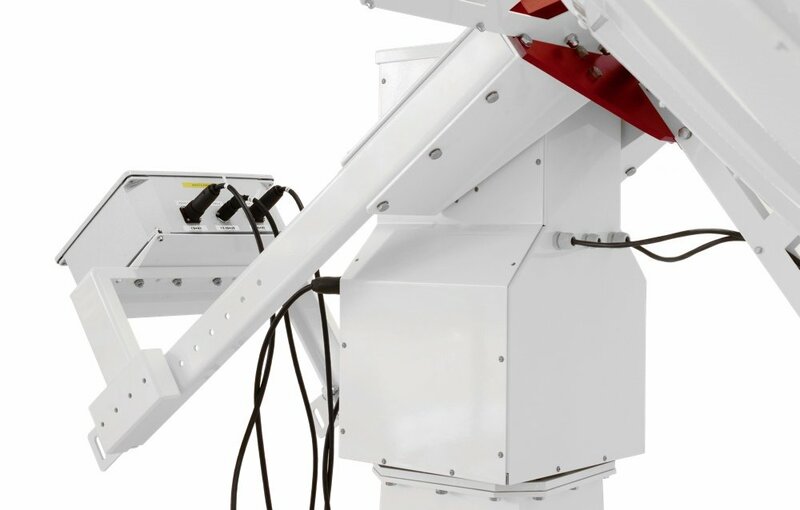 The WP-100 mount has 100 Kg load capacity with very high precision pointing and tracking (encoders with a read resolution of 0,0015°). It can also be equipped with a special electronic security system (optional) which “parks” the antenna pointed at the Zenith (the vertical position) when the wind exceeds 50 Km/h, offering the lowest resistance to the wind where it is safely locked. 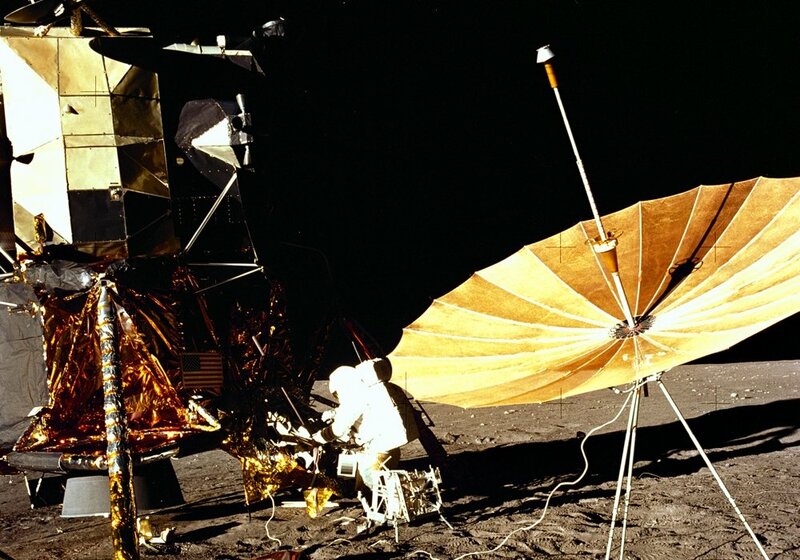 INTREPID: Apollo 12 Lunar Module that landed on the Moon just 600 feet from the planned target (Surveyor 3 probe).